2017 marks the 20th anniversary of the establishment of the Hong Kong Special Administrative Region (“Hong Kong”) and the implementation of One Country, Two Systems. The principles of this unique system are enshrined in our Basic Law. Coincidentally, the promulgation of the Basic Law was adopted in the month of April, at the 7th National People’s Congress of the People’s Republic of China on 4 April 1990. All of these anniversaries make it an opportune time to reflect on the implementation of our mini constitution. Unlike constitutional documents in some jurisdictions, this mini constitution is not a thick volume. It consists of only 160 articles. Yet, this document defines the relationship between Hong Kong and the Central People’s Government, the political structure, the economy, the external affairs, education, science, culture, sports, religion, labour and social services of Hong Kong as well as the fundamental rights and freedoms of Hong Kong residents. As a member of the legal profession, I will focus my reflection on the areas concerning the maintenance of the common law system, the independence of the Judiciary and the Rule of Law. 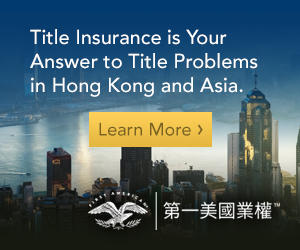 Article 8 of the Basic Law provides that the laws previously in force in Hong Kong, that is, the common law, rules of equity, ordinances, subordinate legislation and customary law shall be maintained. Article 84 further provides that the courts may refer to precedents of other common law jurisdictions. In addition, Art. 82 of the Basic Law provides that the Court of Final Appeal may as required invite judges from other common law jurisdictions to sit on the Court of Final Appeal. 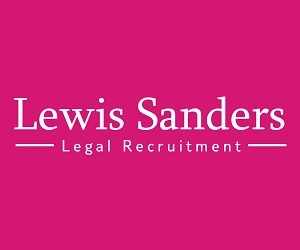 We are privileged to have leading judges from well established common law jurisdictions serving as non-permanent judges in the Court of Final Appeal including, for instance, Sir Anthony Mason, former Chief Justice of the High Court of Australia and Lord Neuberger, President of the Supreme Court of the United Kingdom. There has been recent media coverage on a suggestion that the Basic Law be reviewed in order to prohibit foreign judges from hearing constitutionally related cases and to cease recruiting any more foreign judges. Hong Kong prides itself as an international city. 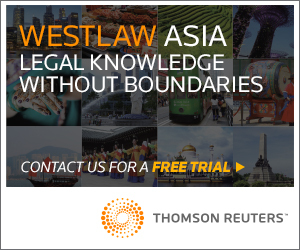 For the legal profession, we are proud to have registered foreign lawyers from 32 different overseas jurisdictions practising in Hong Kong offering diversified legal services to our international community. Our pool of legal talent is enriched by the presence of these skilled and competent foreign lawyers bringing in specialised knowledge peculiar to their own jurisdictions of admission, thereby enhancing Hong Kong’s competitiveness as a legal service hub in Asia. Similarly, the selection of judges which is conducted by the Judicial Officers Recommendation Commission, an independent commission, is based on individual merits, not on nationality. The wealth of experience in common law brought in by these eminent overseas judges is invaluable. The preservation of our common law system is largely attributable to the contributions made by these highly respected judges who sit on the Court of Final Appeal. The Basic Law contains very clear provisions for an independent Judiciary in Hong Kong. For example, Art. 2 guarantees Hong Kong’s right to enjoy independent judicial power, including that of final adjudication in accordance with the provisions of the Basic Law; Art. 19 provides that Hong Kong shall be vested with independent judicial power, including that of final adjudication; Art. 85 provides that the courts shall exercise judicial power independently, free from any interference; and Art.88 provides for the appointment of judges by the Chief Executive on the recommendation of the Judicial Officers Recommendation Commission, which is an independent statutory body composed of local judges, persons from the legal profession and eminent persons from other sectors. Since the implementation of the Basic Law, the issue that has presented the biggest challenge to the perception of judicial independence is perhaps the various debates over the interpretation of the Basic Law by the Standing Committee of the National People’s Congress (“NPCSC”) under the power given in Art. 158. Interpretation on the oath of allegiance by Legislative Councillors when they assumed office in 2016 (Art. 104 initiated by NPCSC). 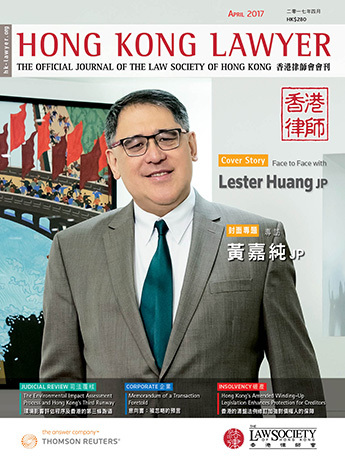 The Law Society’s position has always been that the Basic Law is clear, but in case of doubt, the matter should preferably be resolved through the Hong Kong courts. We acknowledge that the power of interpretation of the Basic Law is vested in the NPCSC under Art. 158(1) of the Basic Law. Interpretation, if used at all, must be used with caution and restraint, since fundamental principles of the Rule of Law as due process, transparency and reasoned judgments from an independent Judiciary are essential elements in maintaining the Rule of Law. Reflecting on the experience we gained in the previous interpretations of the Basic Law, the process leading to an interpretation by the NPCSC can perhaps be improved by instilling more transparency in the process and by allowing stakeholders in Hong Kong to submit their views on the subject matter in advance for consideration by the NPCSC. In recent years, there have been disturbing instances of open defiance of court orders and publication of abusive comments and threats at judges because of their judgments in certain court cases. Although these actions were undertaken by a small minority of the community, they could be damaging to the respect that the public has for a court’s decision made through the due process of law. Further, it is an affront to the Rule of Law to attempt to bring public pressure on a judge to decide or review a case in any particular way. The Law Society has publicly condemned these deplorable acts whenever the situation called for our voice. Overall, the 20 years of the implementation of the Basic Law has been smooth and we have full confidence in the continual proper functioning of the legal and judicial systems under our unique One Country, Two Systems in accordance with the Basic Law.